Some people never grow out of their love of superheroes, like my husband. Paul has been collecting old Flash and Green Lantern Comics since he was a boy, and I have been working on my own superhero craft to celebrate his collection. 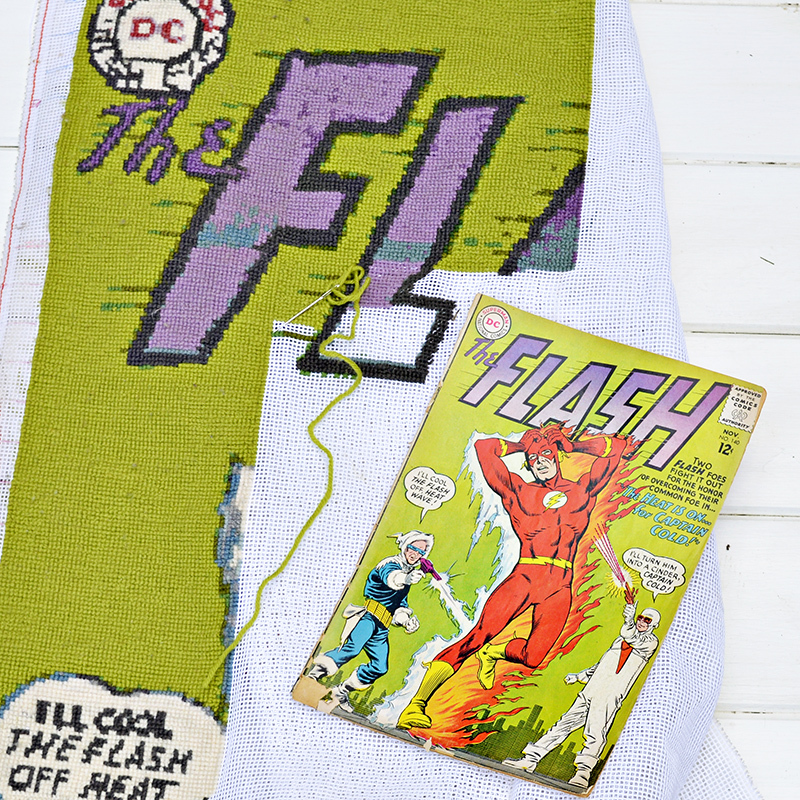 I decided to translate one of his vintage 60’s Flash Comics into a giant cross stitch. Unfortunately, it’s taking me a lot longer than I thought and won’t be finished for a long while yet. 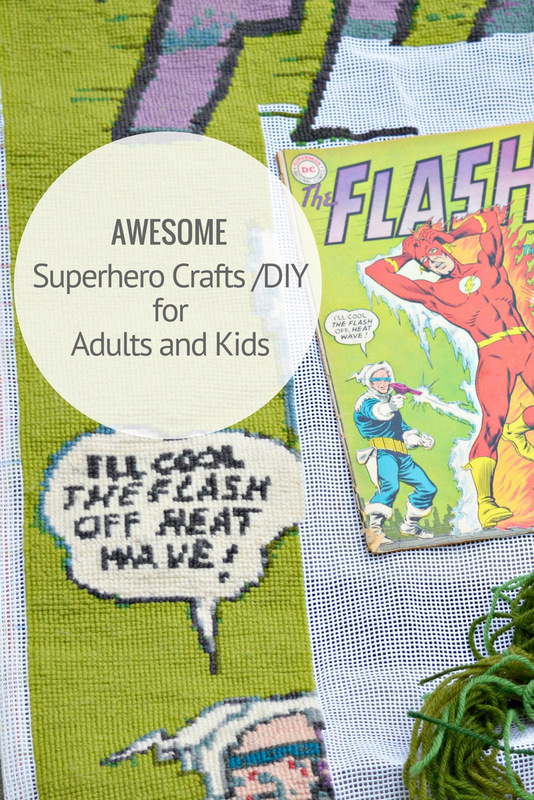 I have rounded up 12 awesome Superhero themed crafts that can be completed a lot quicker. 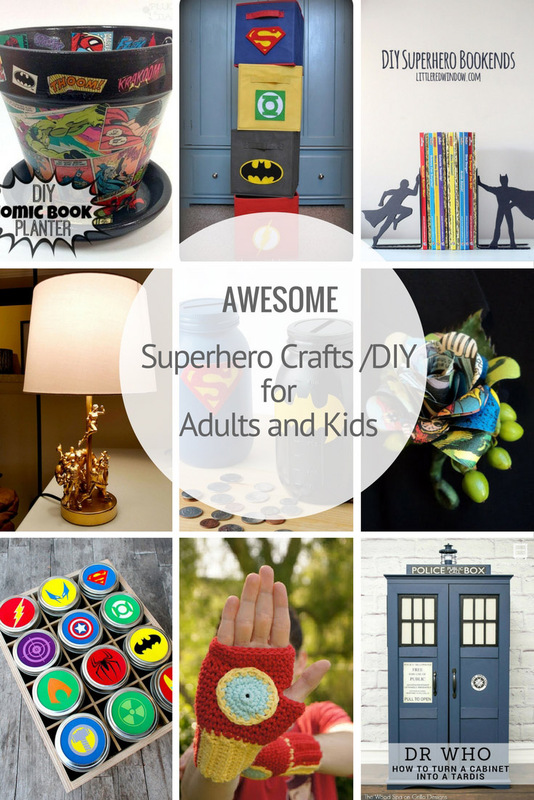 Also, these aren’t just crafts for kids, there is something for everyone young and old, DC or Marvel fans. 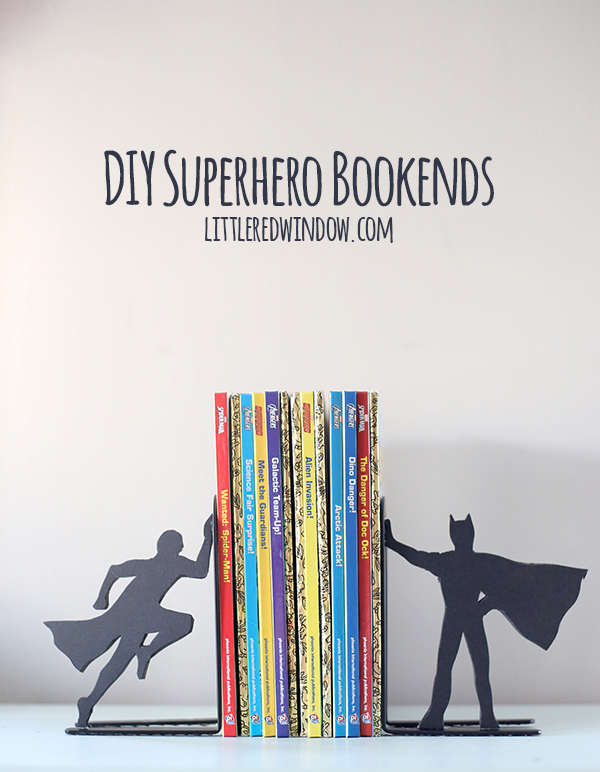 How about some bookends to keep all those superhero comics in place. I so want to make one of these and perhaps spray it copper it’s a bit like the toys frame I made for my sons room. I think this would look awesome with a venus fly trap in it. 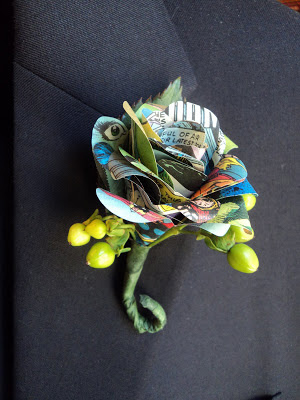 How about a lovely comic book floral buttonhole for that special occasion. 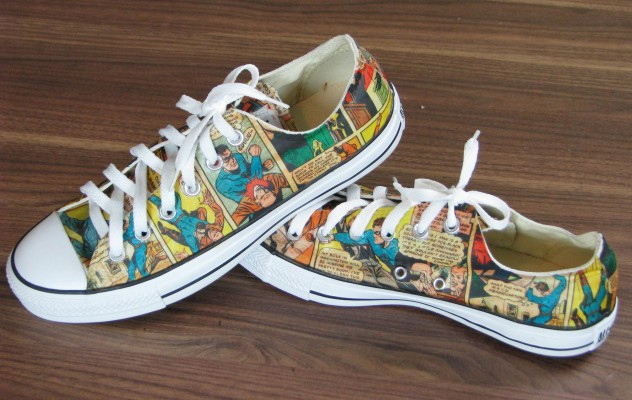 What about some superhero shoes to go with the buttonhole flower. They are a bit like the Marimekko Shoes I made last summer. Unfortunately there isn’t a tutorial here but if you follow the tutorial for my Vintage Map Suitcase you can easily make your own. 7. 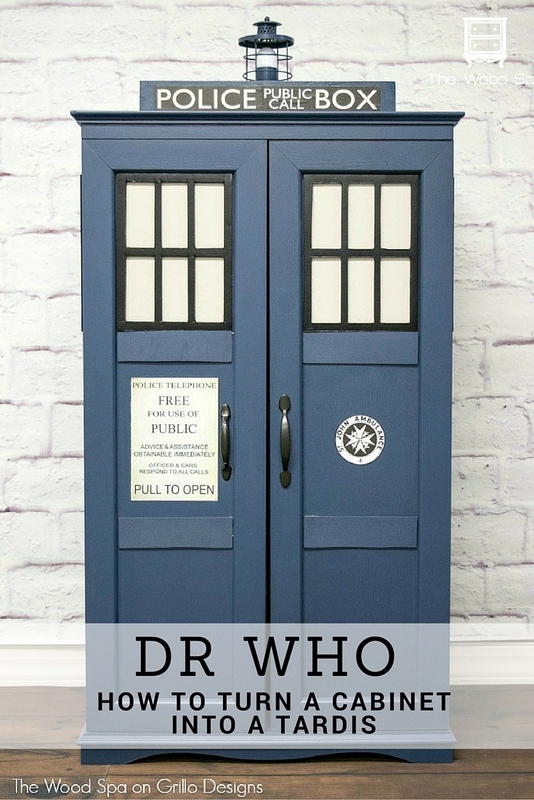 Turn a wardrobe into a tardis – Grillo Designs. I just love this wardrobe door, perfect for all those Dr Who fans. Wouldn’t it be great if it had the same storage as a Tradis. 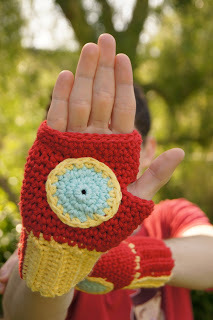 One for the crochet fans! Fill mason jars with their favourite treats, and by using these free printable labels create an awesome gift. 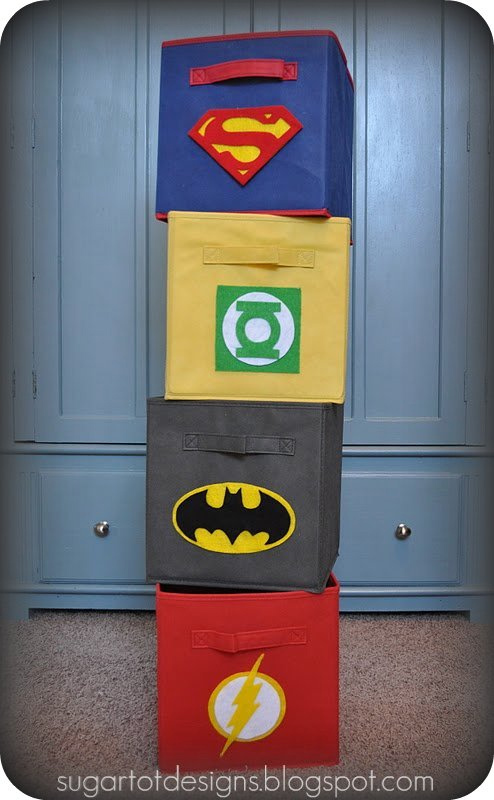 Great tutorial for making this unique Justice League storage. Go for another Batman V Superman battle this time on with savings. 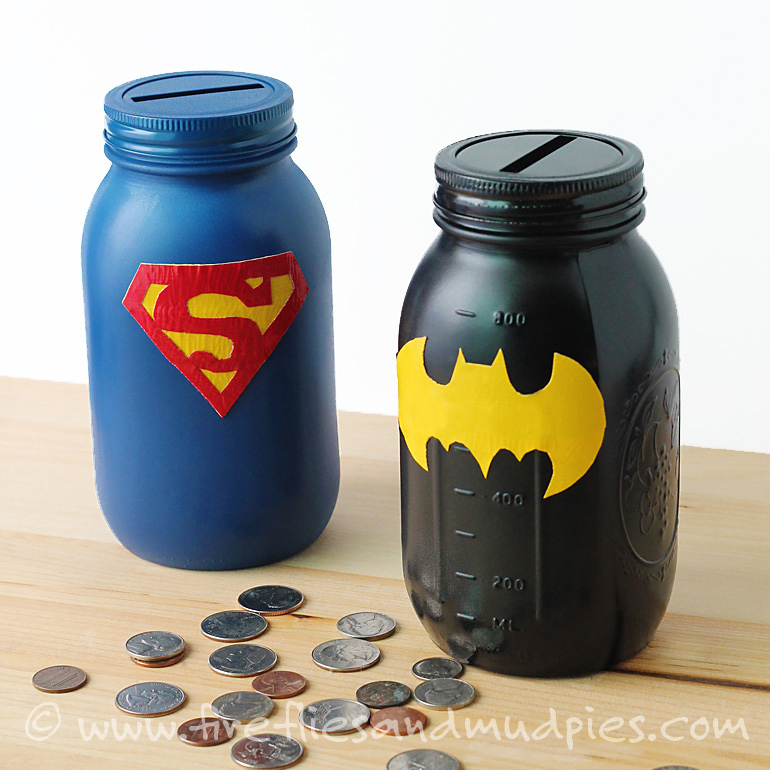 This is an easy craft and it wouldn’t be that difficult to design a Flash and Green Lantern mason jar bank. 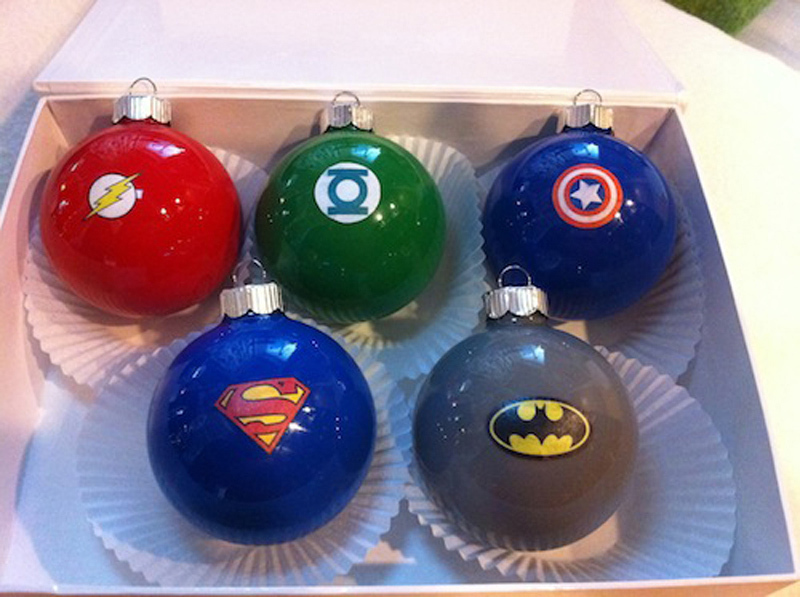 I think I will be making Flash and Green Lantern baubles for the tree this Christmas. Do you have a favourite superhero? Paul’s is the flash, personally, I’m not that bothered but did like Thor in the recent movies. I love the lamp idea so much. I have a ton of old figures and now know what Im making for my study. THANK YOU. And love your site. Thank you, Sara. 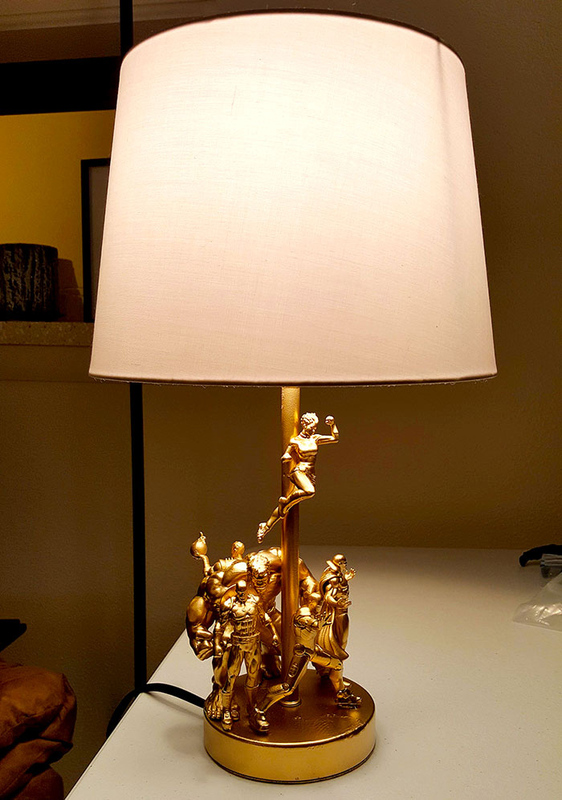 The old figures do look great on the lamp. I’ve also used them in past to make a toys frame. Hi Claire! These look like so much fun! I love the flower pot it is so cute! Yes I like the flower pot too! I’ve got a bunch of old comics I might do this one for my sons room. I love these ideas, especially the door!!! Looks so cool! Thank you ! The door does look awesome. I know quite a few super hero fanatics. Such a great roundup! Thank you for sharing at Merry Monday! My 41 yr old son is still a BatMan fan and I know he would appreciate these. 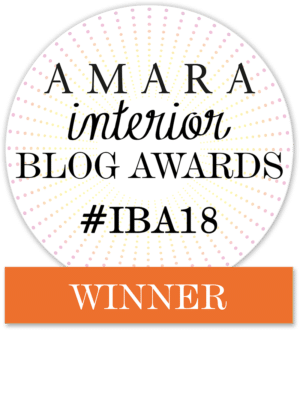 Thanks for sharing your creativity at Celebrate Your Story this is a really fun post. Thank you ! I do t think they ever grow out of superheroes. 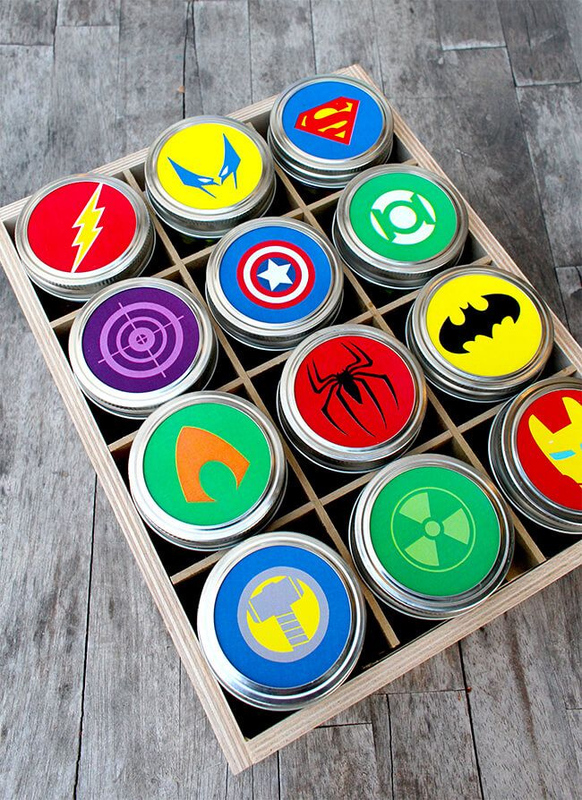 My 8 year old would love these, he’s a massive DC fan. I might have a go at the shoes and the boxes! Thank you! My 48 year old loves these and is also a massive DC fan. In an attempt to have something still in common with my only remaining child at home (he’s 17) I watch a whole array of superhero programmes and films. I tend to enjoy the slightly lighter ones like Flash and Supergirl and I used to like Arrow but now the flashbacks get on my last nerve! 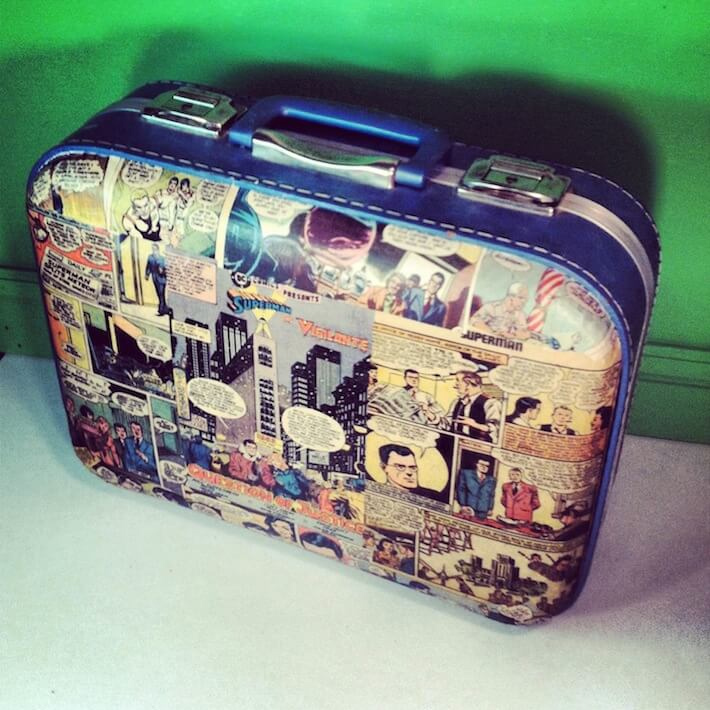 This is a great selection of ideas, I made a friend a glasses case covered in comic book scraps which turned out really well and which he still uses all the time. I think I need to decoupage something else now with all this inspiration! Thank you. I also have a 17 year old at home, as well as 13 year old (+one at uni), the Flash seems to be their favourite superhero programme. There does seem to be loads of superhero themed programmes at the moment. Yes I’ve been eyeing up my husbands duplicate comics for a craft project. Great collection! So many “super” ideas. 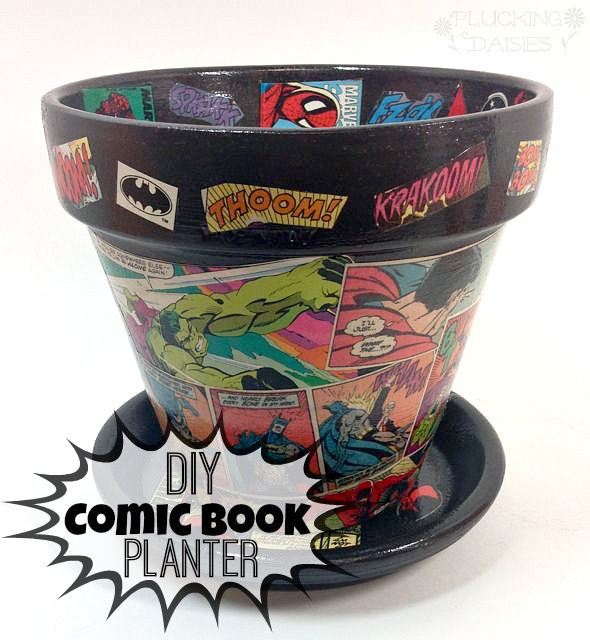 My 4 year old has a superhero-themed room and making more decor for it is on the To Do. Visiting from Redo It Yourself Inspirations party. Thank you ! I think those storage boxes are great for a kids room.